Freshman Orientation is a two-day program for both students and attending family members. Freshman orientation is designed for students who recently graduated from high school and will begin their 4-year university experience at UNCW. Below are the available sessions for students enrolling in the Summer 2019 and Fall 2019 semesters. *Please note that there is no waitlist process. If space opens up in a session due to a registered student changing sessions or withdrawing, the space will be available in the registration system on a first come, first serve basis prior to the registration deadline. If space is available, the session will automatically be shown as available to register. Once it has reached the registration deadline, sessions are closed definitely. The only required fee for Orientation is the student fee. Family and guest attendance is optional. Below are fees associated with students enrolling in the Summer 2019 and Fall 2019 semesters. Early Arrival is only available for the June orientation sessions. All students must register for an Orientation session by the stated deadline. Students will receive reminders to their UNCW e-mail consistently until they complete registration. No exceptions will be made after a deadline has passed. Below are the deadlines for students enrolling in the Summer 2019 and Fall 2019 semester. Students who register for Freshman Orientation by April 24, 2019 are eligible for Early Registration. Early Registration is an online advising tutorial for creating your first semester schedule prior to orientation. Early Registration students are able to register for courses starting April 29 at 3pm. Students not meeting the April 24 deadline will not be eligible for Early Registration, but will be able to register for classes during orientation. If you have any questions concerning Early Registration, contact University College at 910-962-3245 or uc@uncw.edu. 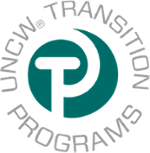 For further questions about Spanish Translation Services, please contact us at transitions@uncw.edu.